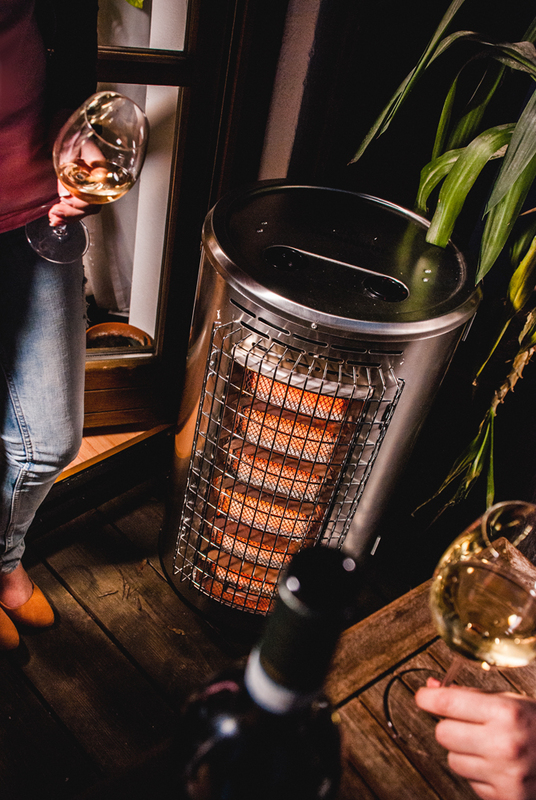 This 32,000 BTU Infrared Cabinet Heater is the perfect solution for outdoor patios as well as various outdoor events. The RC9200IT is a compact cylinder that is really easy to move around. A brushed stainless steel cabinet keeps the good looks customers expect with a Thermablaster! Locking casters on the bottom hold the heater in place temporarily, while making it easy to move to storage later on. 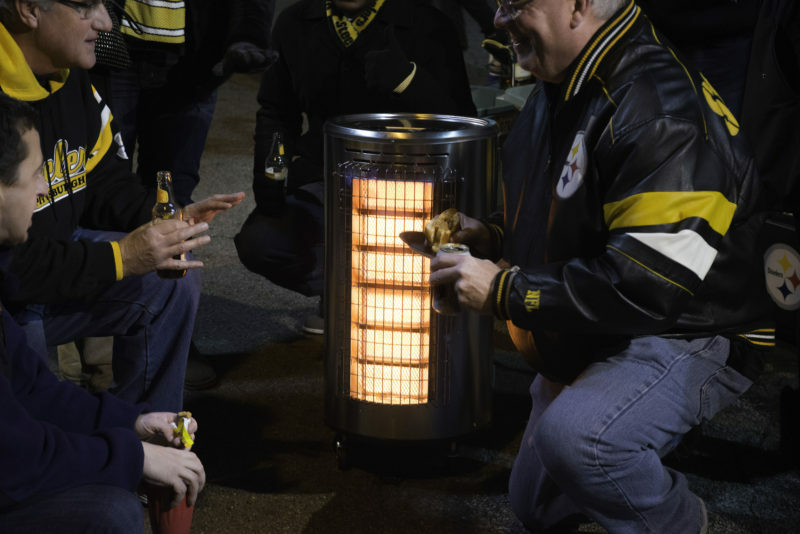 This heater requires no electricity and uses a piezo igniter to light. 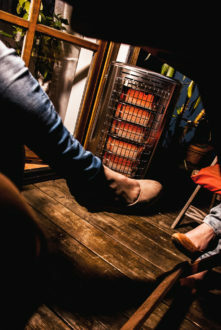 The infrared radiant heat provides the same amount of heat as much taller patio heaters on the market, while using less fuel. 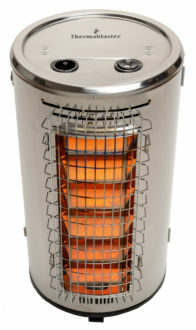 An ODS (Oxygen Depletion Safety) pilot is standard on this heater. 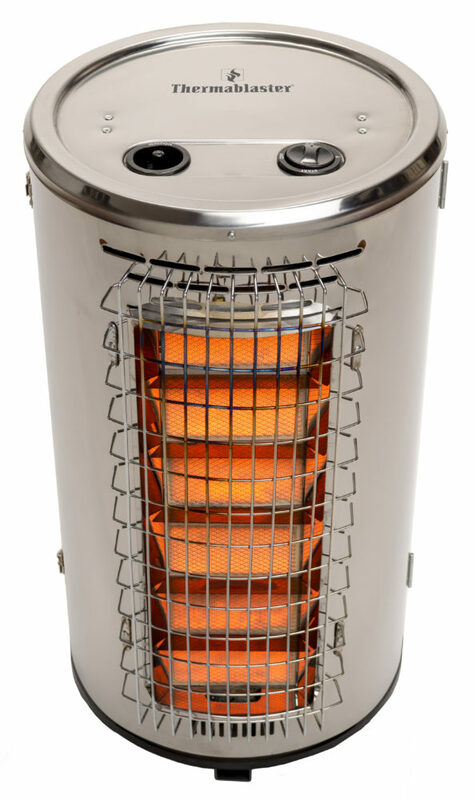 This is a safety device in the event someone uses this outdoor heater indoors in a tight enclosed space. If this were to happen the ODS pilot will shut the heater down as a precaution. 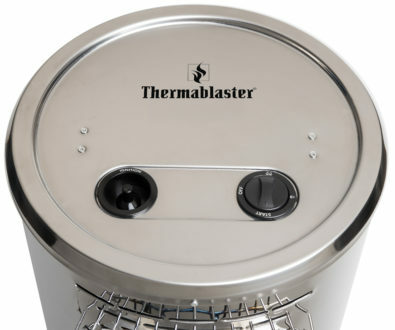 This heater has a latching door to enclose the 20 lb. propane tank. 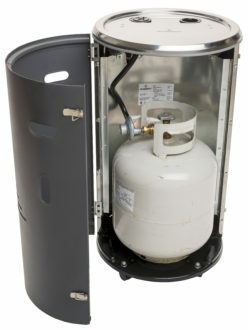 The propane tank is NOT included, however the regulator and hose are standard. 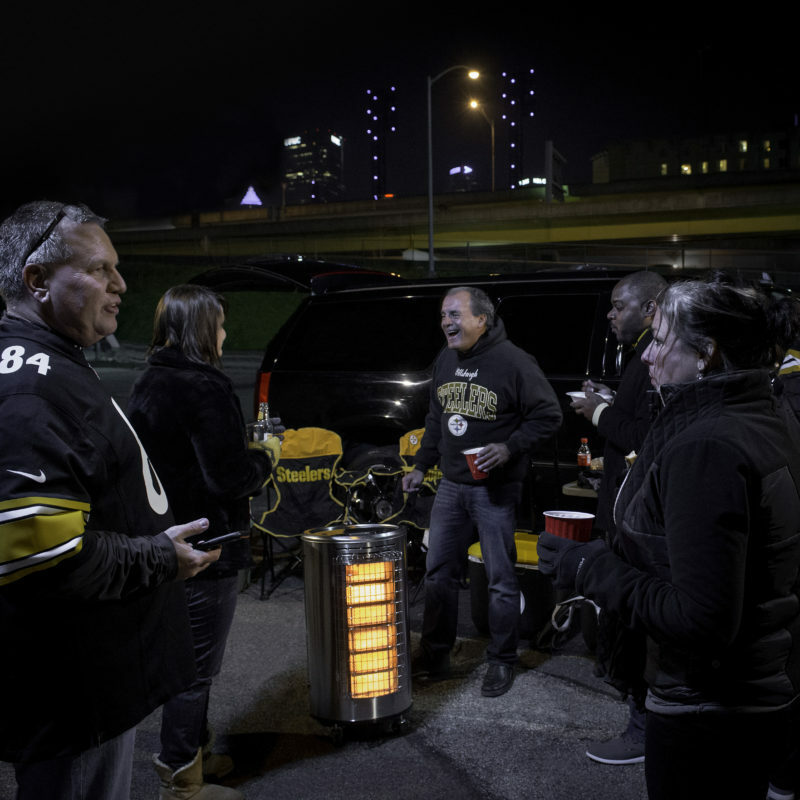 You may notice that the heater is slightly angled upward. This is to make sure the infrared waves are not hitting the surface of a wooden deck and to keep surface temperature cooler. It is important to keep this heater away from direct wind. 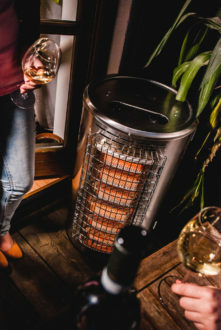 The casters on this heater allow the user to turn the front of the heater away from the wind. 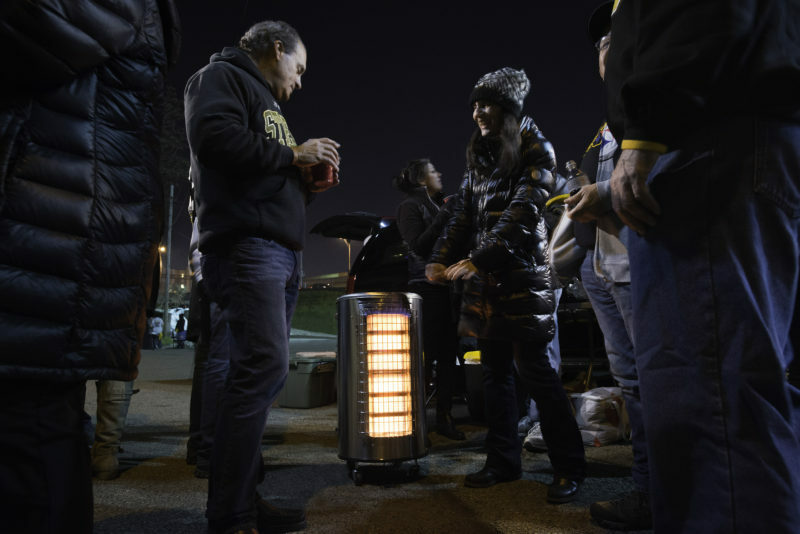 Windy conditions blow the heat away from the heater anyway and defeat the purpose of the heater. It is recommended to turn the propane tank off when not in use. When hooking up a propane tank for the first time you must bleed out the air in the gas lines which may make the heater difficult to light on the first try. Run the heater on pilot mode for about 2 minutes prior to starting. Light the first stage (bottom 3 burners) and then after 2 minutes light the top stage burner. This will help break in the heater during its first use. When moving the heater, place your hand inside the propane tank access hole in the back door. 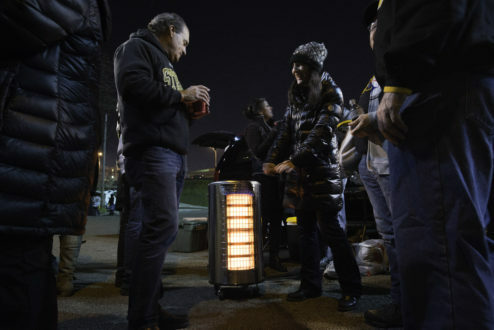 Tilt the heater on the back wheels for moving long distances. This will insure the front tilt bracket on the bottom of the heater does not get caught on any ground objects.